LMMS is a free cross-platform alternative to commercial programs like FL Studio®, which allow you to produce music with your computer. This includes the creation of melodies and beats, the synthesis and mixing of sounds, and arranging of samples. You can have fun with your MIDI-keyboard and much more; all in a user-friendly and modern interface. via LMMS – Linux MultiMedia Studio. They are back. After 5 years from the immense Lateralus, it is out the new work of the group of Maynard James Keenan. 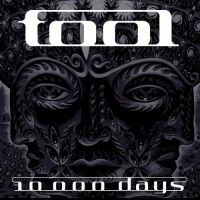 I can't make a review after the first listenings, a Tool album goes assimilated and studied, but I'm sure that all the fans will love it; it is great!